Minnesota is the land of 1000 lakes which means there are 1000 opportunities to enjoy a day out on the boat. Boating is one of Minnesota’s greatest pastimes with everyone flocking to the water during the summer. However, because of this widespread use of boats, Minnesota has one of the highest fatality and accident rates on the water. If you or someone you love has been injured by a boating accident caused by the negligence of someone else, contact McEwen & Kestner, PLLC today to see how we can help. In addition to these injuries, you may suffer from a loss of quality of life as well as a loss of income if you are unable to work while recovering. You may be facing additional expenses such as surgeries, medication and in-home care in some instances. Unfortunately, children are often the ones affected in boating accidents. Even though a child may be wearing a life jacket, they are not protected from all the dangers on the water, especially when faced with a collision or a bad accident while tubing, water skiing or wakeboarding. We represent people of all ages suffering from all boating, jet skiing and other water sporting accidents. In addition to boats, jet skis can also be a killer in the water, especially if riding under the influence. If you or someone you love has been killed or seriously injured on a jet ski, then you may be able to be financially compensated. If the Jet Ski was not working properly or if you suffered a collision due to someone else’s negligence then we can help you. You should not have to pay for someone else’s mistake. We can work with you to assess your accident and determine who is to blame. 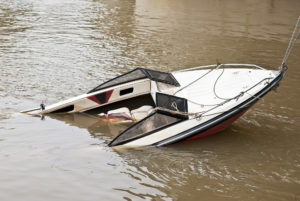 In some instances, it may be the fault of a negligent driver while in other accidents it may be the boating manufacturers fault for supplying a faulty engine. Don’t let a boating accident ruin the rest of your life. Contact McEwen & Kestner, PLLC at 651-224-3833 or toll-free at 800-732-3070 today to get the legal advice and financial compensation you deserve.